CJLO’s Women’s+ Collective works to provide a place for women and other gender minorities in radio by diversifying the voices on air and shedding light on issues that concern them. Their first zine, SCORNED, is a compilation of works submitted by more than 30 artists and writers aiming to provide a space for representation and expression. Inspired by third-wave feminism and the Riot Grrrl era, the collective turned to the “DIY approach of getting your voice heard,” according to Allison O’Reilly, CJLO’s program director and co-facilitator of the Women’s+ Collective. She said their inspiration for the zine stemmed from the “cut and paste” approach. “‘What does it mean to be scorned?’” prompted Mackenzie Smedmor, another co-facilitator of the collective who spent the summer assembling the zine. Inspired by late 80s and early 90s feminism, O’Reilly said the collective reflected on popular catchphrases. Inspired by third-wave feminism and the Riot Grrrl era, the collective turned to the “DIY approach of getting your voice heard,” said Allison O’Reilly. Photo by Mackenzie Lad. “If hell hath no fury like a woman scorned, then what does it mean to be scorned?” O’Reilly asked. Smedmor said the collective’s main goal was to create a space for people to express themselves in a way they wouldn’t be able to on other platforms. She added that they prioritized accepting people identifying as part of the LGBTQ+ community and visible minorities. The collective received more than 30 submissions for their first edition of the zine, and the majority of them were accepted. “Everyone should have their voice heard,” O’Reilly said. “Women and gender minorities have a lot to be angry about,” she added. 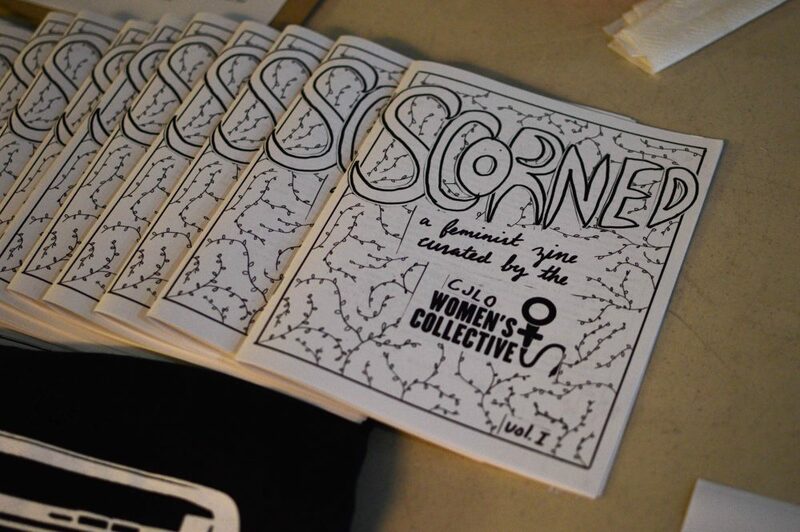 “[The outcome of SCORNED] exemplifies how people have a lot to say and are looking for an outlet to do so.” Platforms like the Women’s+ Collective allow for dedicated individuals to share their opinions in a way that is difficult to do without resources. The amount of submissions received demonstrates how many people are willing to share their stories. “It shows that a lot of people really put everything out there,” Smedmor said. What does Khashoggi mean for press freedom?